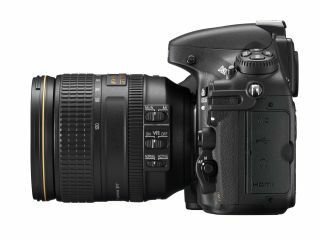 Nikon Japan has issued an official statement confirming that there will not be enough Nikon D800 cameras in order to satisfy the pre-orders that have been made. The statement, which appears on the Nikon Japan website, says that the pre-orders have been "above expectation" and apologies to any customer that will have to wait to get their hands on the highly anticipated camera. At 36 million pixels, the D800 is the world's highest resolution full-frame camera. Announced in February, it was originally slated for release on 22nd March (Thursday). We've been in contact with Nikon UK, but as of yet there are no updates as to the situation, and we haven't seen any similar reports around the world regarding stock levels. It's a bit of a mystery as to where the D800 is made, but if Japan, the company's home country, is having problems with supply and demand, it's almost certainly likely to have a knock on effect to global supply. The Nikon D4 has also experienced delays. That had an original release date scheduled for mid February, but customers are still waiting for orders to be fulfilled. Stay tuned for more updates as they happen.